Home › Home and Kitchen › 9" Aluminum Foil Pie Pans. Disposable Tin Plates For Pies Tart Quiche. 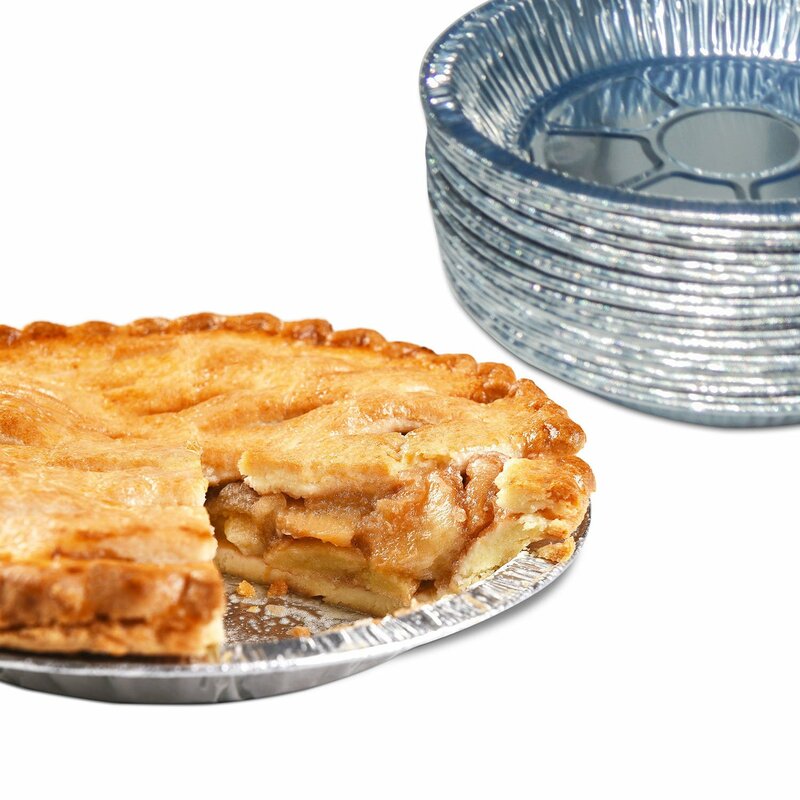 (Pack ..
9" Aluminum Foil Pie Pans. Disposable Tin Plates For Pies Tart Quiche. (Pack ..
SAVE TIME AND MONEY while baking tasty treats for family, friends, or customers. Our heavy duty disposable tins are perfect for the home baker or professional chef. Unique ridge design ensures a perfectly baked crust as well as strengthening the base of the plate. DURABLE precision folds and full curl lip hold your crust in place and ensure your pies stay in one piece- wont bend or break under pressure. Create a sensational dish every time. Pies, quiche, veggies on the grill. PERFECT FOR YOUR 9-INCH RECIPIES. Dimensions: 9 Inch outer rim. 8 inch inner rim. 6 1/2 inch bottom. 1 3/16 high. Just the right bakeware for holiday pies. AND no need to retrieve your pie plate from the next gathering. NO CLEAN UP REQUIRED after enjoying your favorite quiche- these economical pans can be reused, or recycled. Excellent for home baking or catering. Buy in bulk and save! Great for pre-made camping meals. TONS OF USES: Personal pot pies, arts and crafts, robot costumes, pie eating contests, grill plates, apple pie, MORE apple pie.